Charter a private flight to Las Vegas, the resort and gaming city in the Mojave Desert known as the “Entertainment Capital of the World”. Whether flying private jet charter to Las Vegas to conduct business at a local convention, to roll the dice along the Strip, or to celebrate a bachelor/bachelorette party, we can help arrange the right aircraft and flight itinerary that best suit your needs. Jet Charter Vegas is the best way to travel, and our company believes in providing private flyers with a one-on-one consultative service experience that exceeds every expectation. We understand that your time, privacy, flight preferences and most of all, safety, are all extremely important. Our Las Vegas Jet Charter representatives are available for you by phone and email 24 hours a day, 7 days a week. When using our air charter services, you can expect quick response times and an easy, hassle-free booking process. From luxury round-trip flights and business jet rentals to last minute one-way and empty leg flights, let us arrange the perfect aircraft for your next visit to Vegas. Request a quote or call us to arrange your private flight to Las Vegas, Nevada. Las Vegas is famous all over as the gambling capital of the world. The wealth and extravagance flowing through this eccentric city know almost no bounds. Walking down the street will net you views ranging from the exciting to the obscure in the form of ostentatiously wealth baring buildings and street performers doing next to anything for a passing dollar. As one of the most popular tourism destinations on the planet, Las Vegas has more luxury hotels and boutique lodging options than just about anywhere. Whether you’ve booked your private flight to Las Vegas for site-seeing, gambling, or business, there is a hotel to be found that will suit your needs perfectly. Click here to find out about all of the hotel options private jet travelers have in Las Vegas, Nevada. Las Vegas, Nevada has become a household name that people all over the world associate with extravagant wealth, extreme American abundance, black suits, short dresses, neon lights, and basically anything else that is indicative of a great time. Las Vegas does a great job at maintaining this sense of dream-like abundance for the fortunate souls who manage to visit this incredible city. Private jet travelers may feel a bit inundated with the extreme amount of entertainment options presented shamelessly in front of them upon reaching the Vegas downtown strip. So while Las Vegas doesn’t do much to help alleviate the overwhelming sense of “what’s next”, we’ve gone in depth with our research to help you find the absolute best attractions in Las Vegas. Click here to read our comprehensive guide on Las Vegas attractions for our private jet clientele. 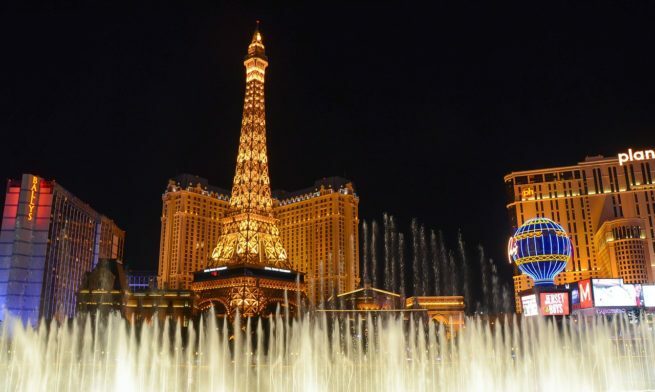 Las Vegas has earned its title as the entertainment capital of the world, and it’s been earning that title consistently for the past several decades. Its name is so ingrained in our culture that it’s almost difficult to even think of the word “gambling” without an image of this sprawling city coming to mind. That said, it can be difficult to figure out which casinos will offer the exact Las Vegas experience that you’re hoping for. In light of that possible predicament, we’ve compiled an expansive guide of the absolute best casinos in Las Vegas. Click here to see all of the best Vegas casinos on one page. Jet Charter Vegas utilizes the following airports to fly clients privately to/from Las Vegas, Nevada and neighboring areas. Request a Quote or give us a call at 1-888-987-5387 to speak with one of our Las Vegas Private Jet Charter agents for your next luxury vacation, business trip, or special event.